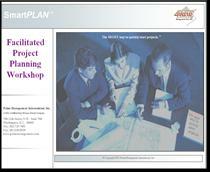 SmartPLAN™ is a facilitated workshop designed to accelerate the project planning process and teach project teams to apply proven project management methods on real projects. 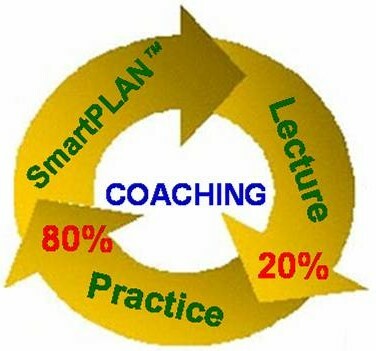 The instructor will deliver brief lectures on the fundamental concepts of project management; between lessons the instructor becomes a mentor, guiding and coaching team members as they immediately use project management tools and techniques on their current projects. Through hands-on practice, project managers and team members gain practical experience in the mechanics of proper project planning – including project definition; WBS development; work plan preparation; cost, time, and resource planning; and risk analysis and response development. This accelerated planning session will develop team member consensus on the project approach at the end of the workshop and will successfully launch a project into its execution phase. A solid project planning foundation will help ensure that all essential activities and tasks are accomplished on time, on budget, and on track for quality, scope, and resource utilization. The instructor will transfer practical knowledge and skills which project managers and team members can implement on future projects. The application of consistent, repeatable project planning processes in the organization will boost efficiency and shorten planning and execution cycles.